Now that NPE 2015 in Orlando, Florida has come to a close we want to take a moment and thank all of the attendees who came to the show and stopped by our booth in the south hall. And of course a special thanks to the Show Producers SPI: The Society of Plastics Industry. Now for our very important announcement! We want to tell you who the winners are of our Raffle Giveaway. I know you’re wondering what the fabulous prizes are. The winners will be able to select from the following fantastic prizes. KITCHEN ESSENTIALS BASKET– The basket has been carefully curated to include some of our favorite soft grip kitchen products. The basket includes: a collapsible colander, a cutting board, measuring cups and spoons, dish towels, gourmet coffee, travel cup, kitchen shears, TrueSeal Food Storage, and a variety of food products. Start Spring off right! LOVE YOUR PET BASKET-The basket is fully loaded with everything a pet owner would want. The basket contains a variety of pet safe toys for dogs of various sizes, a new blanket, pet toy basket, treat dispensers, treat refills, new tennis balls, a travel drink bowl, a new leash, and a 3 month subscription to BarkBox. JENI’S PINT CLUB– Indulge in Jeni’s Pint Club for 1 year. You will receive 3 pints every quarter, delivered to your doorstep. THE HANDY BOX-For 3 months the winner will receive an awesome box with tools and gadgets. Each box contains 4-6 full size tools and gadgets. Perfect for the handy man in each of us or the do it yourself type. TRY THE WORLD BOX– A box where chefs bring their country to your door. Discover new cultures through food. Every two months the winner will receive a new box from a different destination with 6-9 gourmet products for 6 months. SNACK BOX– Love to try new snacks? We made this easy with Love with Food’s Snack Box. Discover new organic or all-natural snacks that are delivered to your door for 6 months. For every box sold a meal is donated to Feeding America food banks. 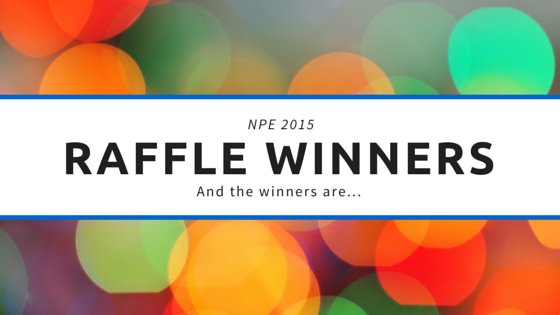 Star Thermoplastics would like to thank everyone who entered our NPE 2015 Raffle Giveaway. We hope all of our winners enjoy their prizes. We look forward to seeing the whole plastics industry next time at NPE 2018, May 7th-11th. For more information on the subscription boxes please check their websites: The Handy Box, Try the World Box, Snack Box, and Jeni’s Splendid Ice Cream.